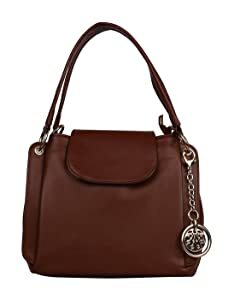 Buy Women Marks Women’s Handbag (Brown) @ 85% Discount. 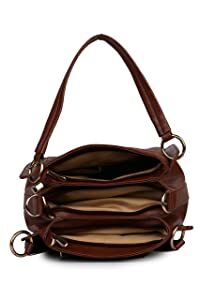 This hand bag from the house of Women Marks is made from PU material and comes in a shade of brown. It is a suitable hand bag to store your belongings and essentials. With adequate compartments, the handbag is a suitable store and carry option when you want to carry your stuff in style without compromising on utility. 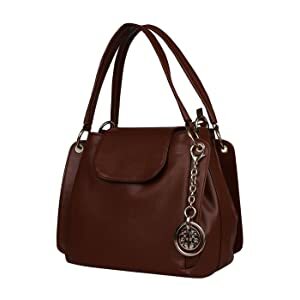 The handbag features sturdy and padded handles to distribute the weight evenly on your shoulders when you are carrying this handbag on daytrips, travels or any casual occasions. With 3 compartments and one pocket, the handbag provides you the adequate space that you need for your belongings. 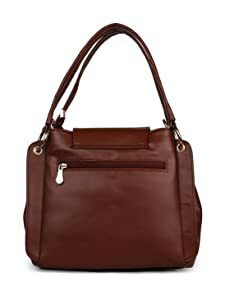 Look uber stylish and trendy by wearing this handbag for women from Women’s Mark. Made from polyurethane (pu), this handbag is capacious and perfect for keeping your everyday essentials. Pair this bag with casuals of your liking to look smart.